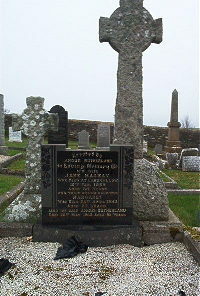 Erected by Angus Sutherland in loving memory of his wife. Jane Mackay died at Landhollow 10th February 1959 aged 89. Granddaughter Margaret died 26th April 1942 aged 27. Husband Angus Sutherland died 26th May 1963 aged 93.